Top quality products since 1992. 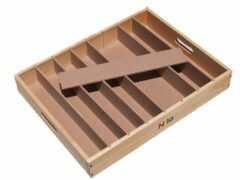 N34EX – Nilo® Lego Table in Espresso, NO BASEPLATES! Solid hardwood construction, build to last for generations! 24″ Leg Kit available for this table as an add-on. Why choose an Nilo® Lego Table? There are many reasons why Nilo® is the leader in activity tables, Lego tables, Duplo tables, wooden train tables, basically multi-use tables for children. 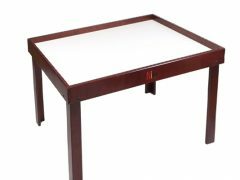 We’ve been selling our incredible tables since 1992! Lets just get right into it! Our design is timeless, clean, simple. We designed it so it appears like an piece of quality furniture…which it truly is! The Nilo logo is carved into the wood and painted! It isn’t stamped on, silk screened on, painted on or worse, just a sticker! Nope, I wanted that element to be as graceful as the rest of the table. It cost a bit more but I feel it is worth it. Don’t you? A few key points here. One, the raised borders are the perfect height, not too low, not too high. As such, they serve to keep manipulative on the table top and off the floor. Second, its the perfect height for wooden train use…the track is 1/2″ thick, our borders are 1 1/4″ high. This allows for 3/4″ of raised border with wooden track being placed on the table. Its therefore excellent to use as an WOODEN TRAIN TABLE. I’ve noticed many tables feature just 1/2″ or 1″ and others feature 2 1/2″ or more! None of these dimensions are ideal in my opinion. Thus, we feel our 1 1/4″ is the best out there. Its also ideal to use as an LEGO TABLE! Or, DUPLO TABLE, thanks to our wonderful baseplates or Block Mats as we call them. Check out our Block Mats here: https://nilotoys.com/product-category/baseplates/. Obviously, our tables are the absolute best ACTIVITY TABLE there is! Next, lets talk about how our table is made. Solid hardwood, dado in frame which sandwiches the table top for added strength, solid “L” shaped legs and 1/4″ bolts, 6mm corner screws hold this baby together…for life! 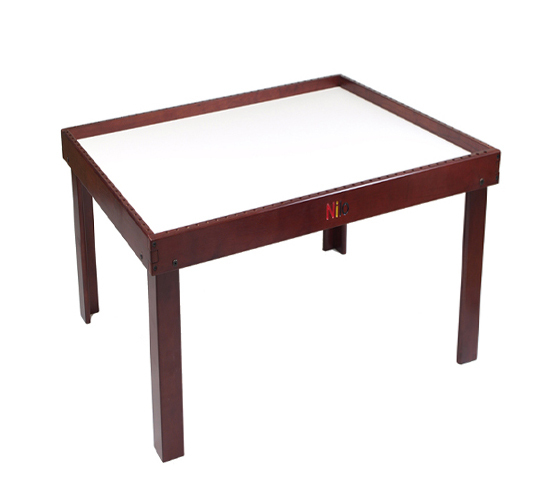 Our regular N51 tables come with the best multi-use surface for a play table, namely, melamine. We chose to include a “two sided” top. If one side gets damaged you can disassemble one end of the table, slide out the top, flip it over and bingo, you have a new table top again! The height of our lego table is 19″ to table top. This is also ideal. Most tables are TOO LOW to the ground…your child will outgrow these tables within 2-3 years. Also, our lego table allows seating, your child may sit on our stool or toy chest and have their legs comfortably under the table…SUPER IMPORTANT, DON’T YOU THINK? Finally, our “with holes in frame” tables features holes around the border for cool activities, like our Slide Hammer ‘N Nails, Nilo-Jax, Rok-Jax, Fiddlestix and Zoobs! Talk about added value! However, since you are looking at our “NO HOLE” table here these things don’t apply to you….I just thought I’d mention them to make sure your ok with your choice of this “NO HOLE” table. We also sell our Block Mats making our tables an Lego Table or Duplo Table. Note, the benefit of our design with our Block Mat use is your child may start an project on our mat sitting on the table, then you may remove the mat with project on it to use the table for another use…then later simply place the Block Mat with project back onto the table top and continue to build! Additionally, you are easily able to wash the Block Mats, clean them since they weigh only 2 pounds. Many Lego tables are permanently attached to the table top…there is no way to wash the Block Mat (base plates). In summary, there isn’t a better designed, better made, more versatile Childrens Lego Table Play Table Train Table on the planet! Buy one today! You’ll be glad you did! Check out our 5 star reviews! Tell your neighborhood Specialty Toy Store about us, should they not carry Nilo! One more thing….should you purchase this table or one of our others, we’d sure appreciate you letting your circle of influence know about your choice! Should you be ecstatic, once you assemble the table and see your precious little one(s) playing like theres no tomorrow…perhaps you could make a favorable comment on our Facebook page! We’re a small, privately owned U.S. based company and could sure use your help letting others know about us! Thank you in advance for your consideration! N34E – Nilo® Lego Table in Espresso, Duplo also.